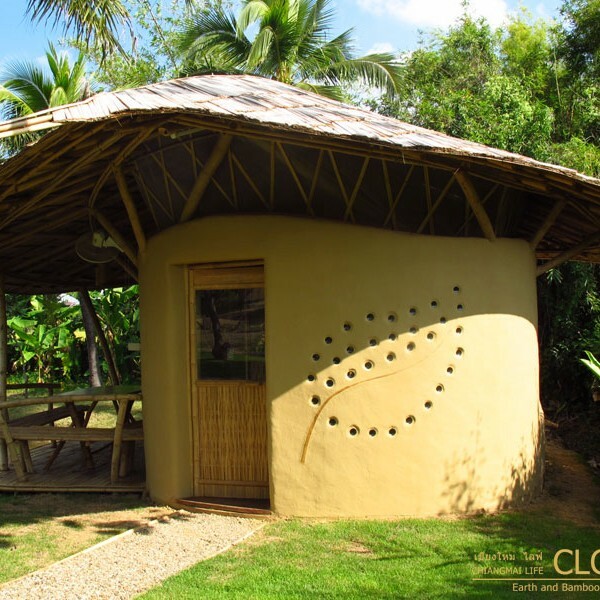 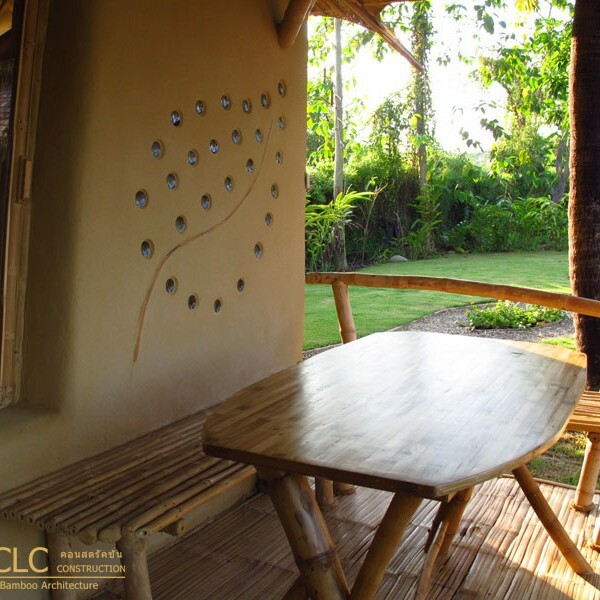 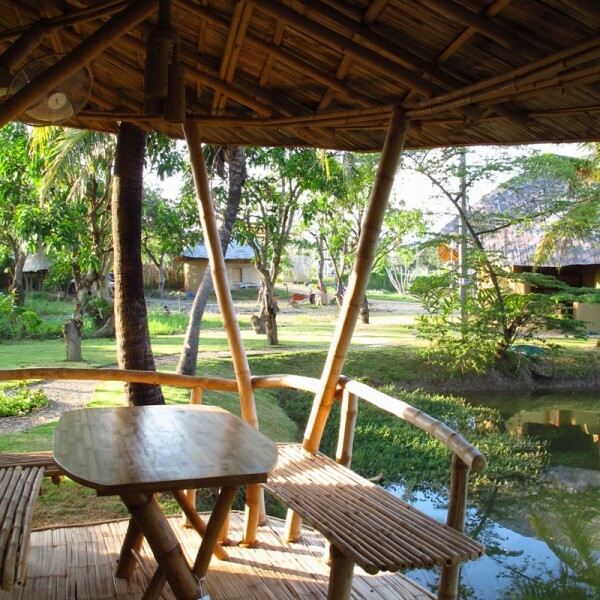 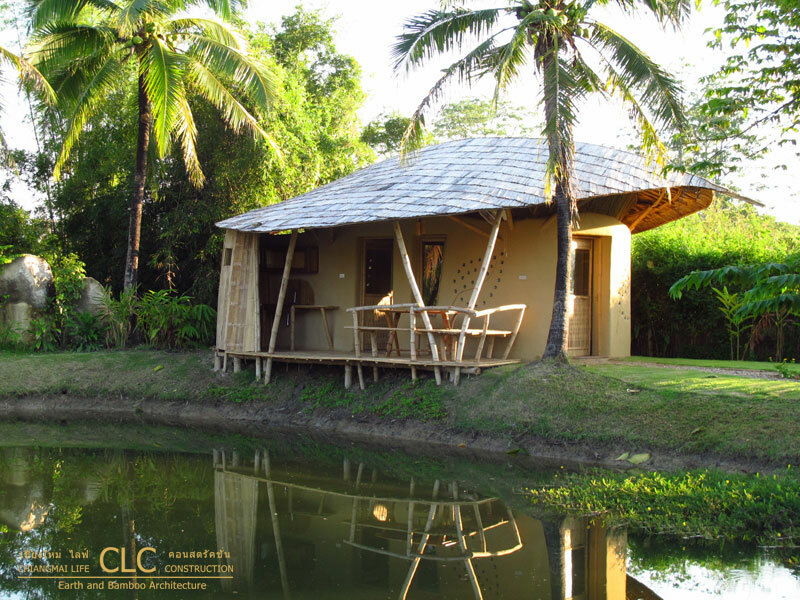 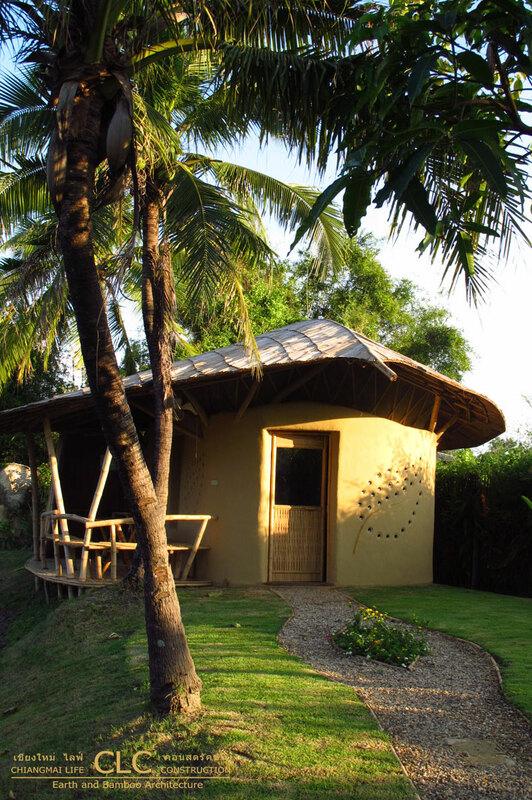 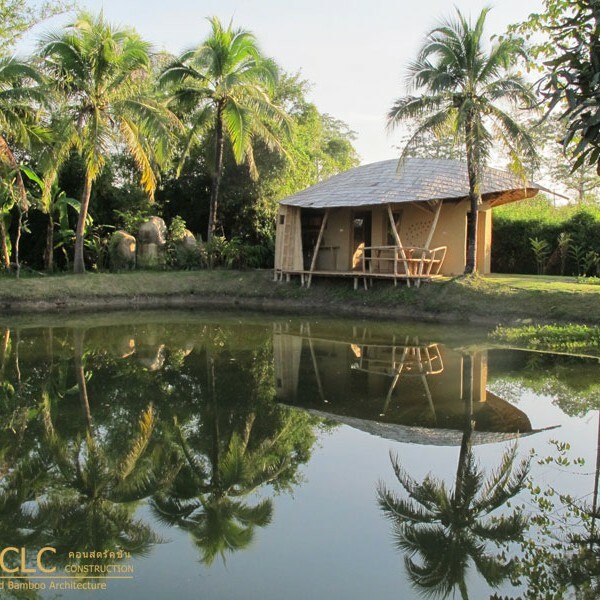 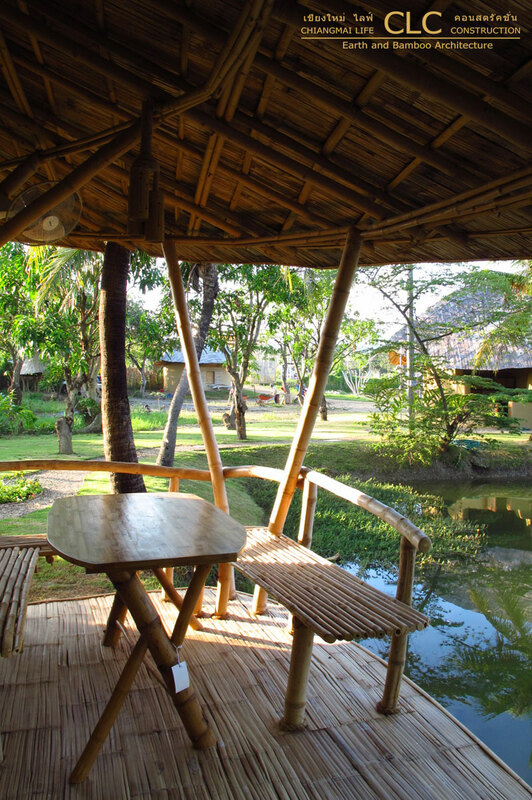 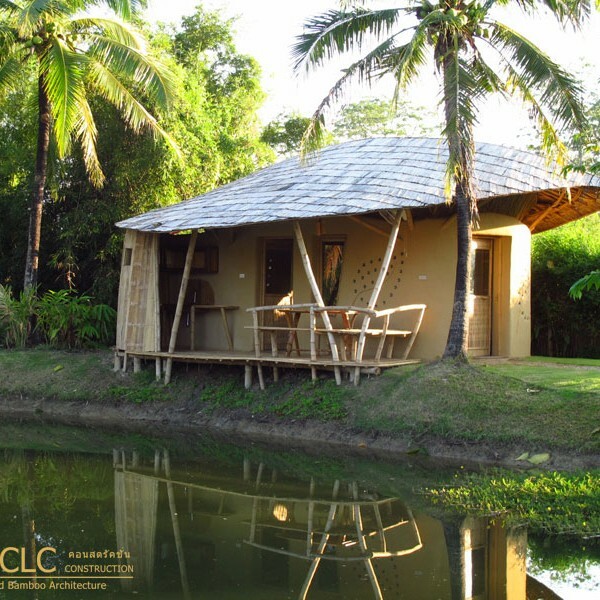 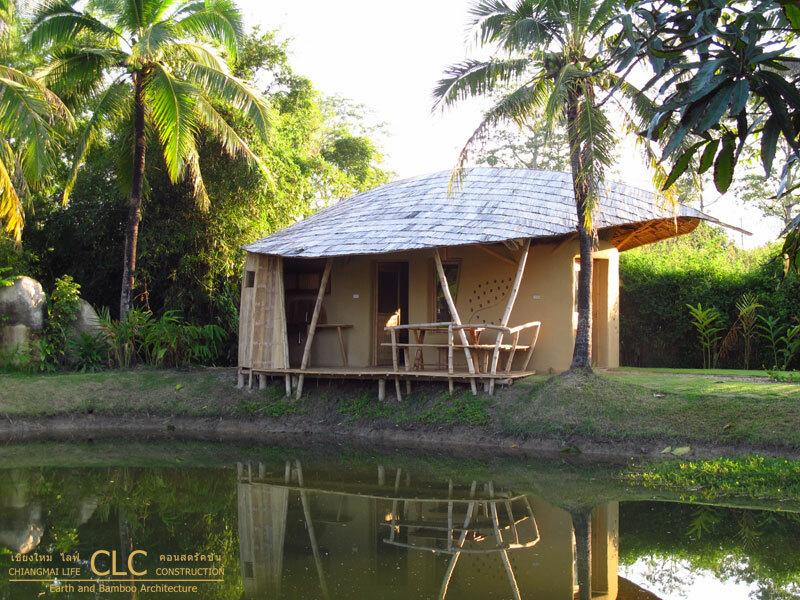 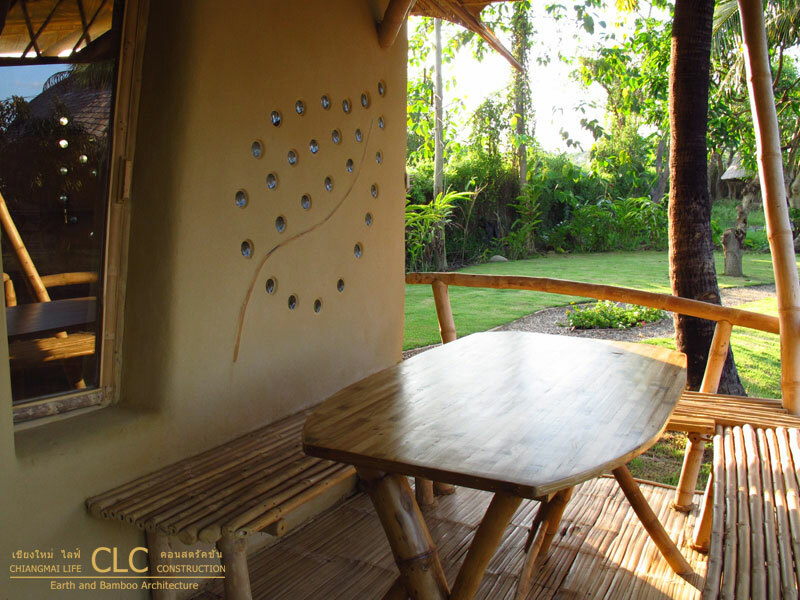 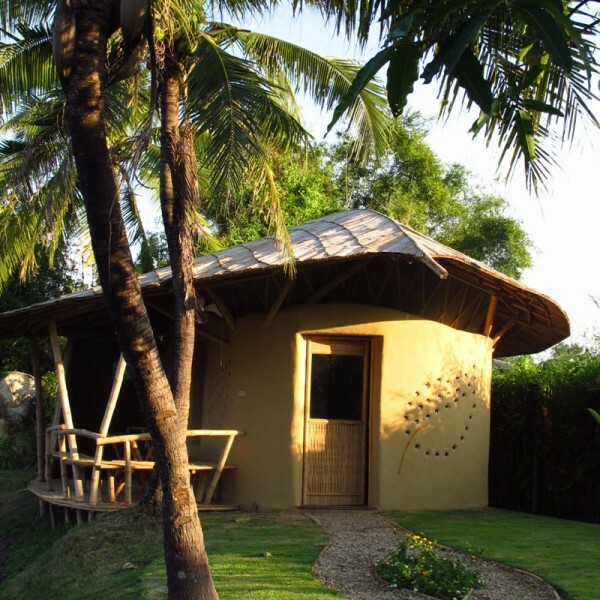 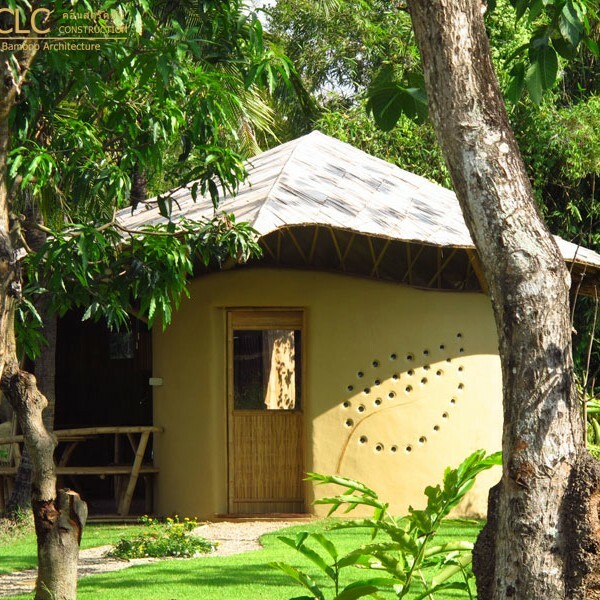 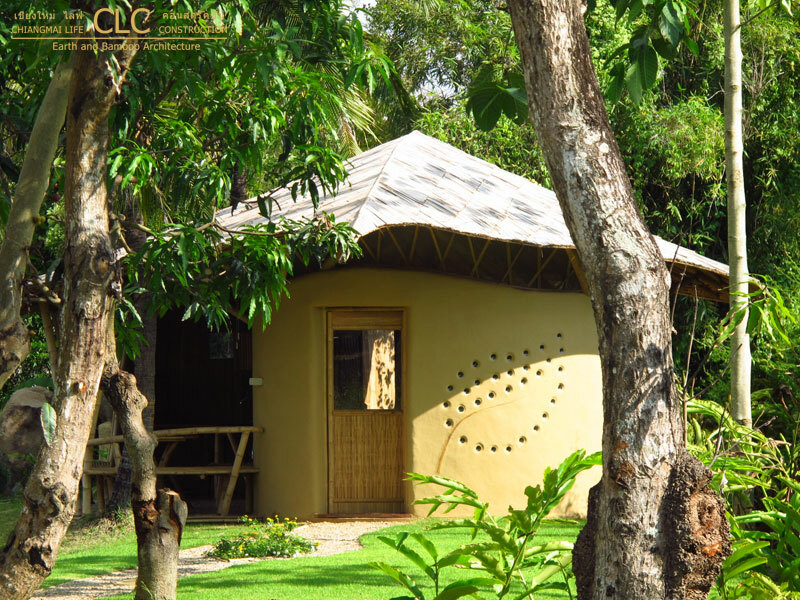 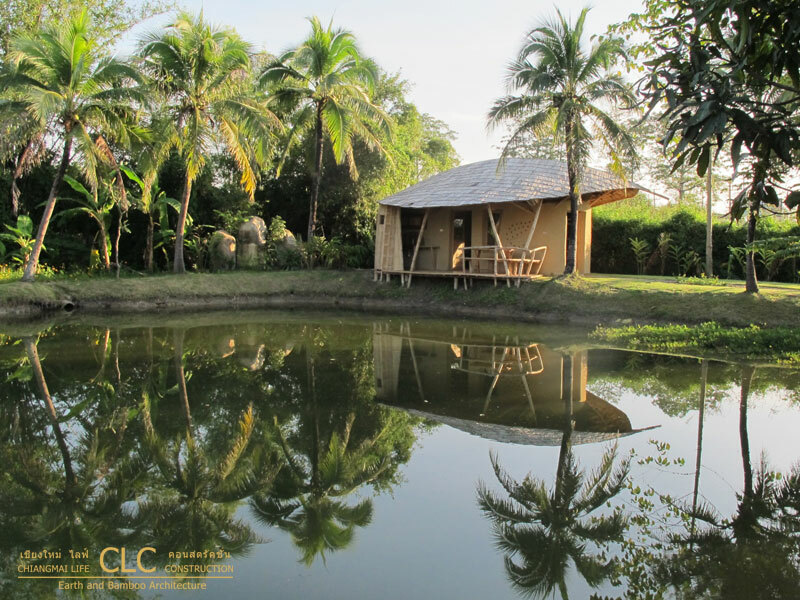 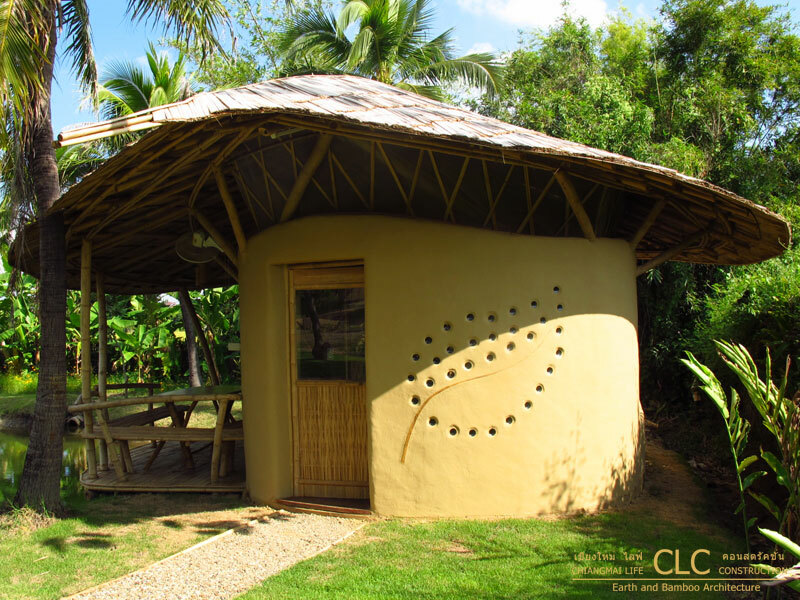 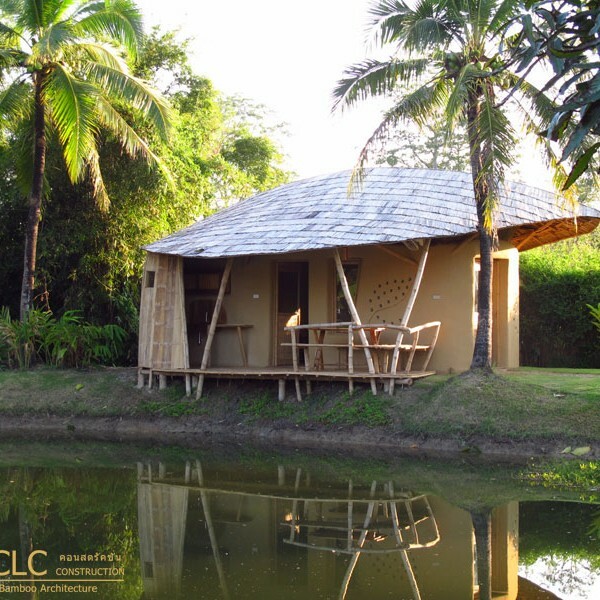 This small cottage or bungalow was designed by Chiangmai Life Construction as sample resort bungalow or weekend house, the so called “Ban Rai”. 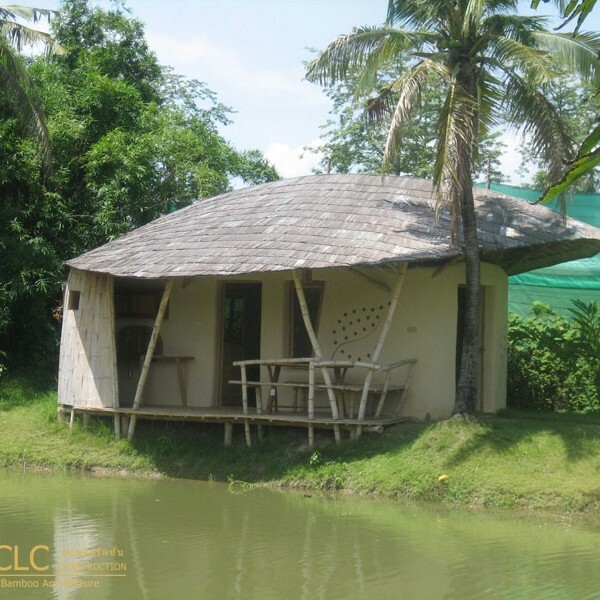 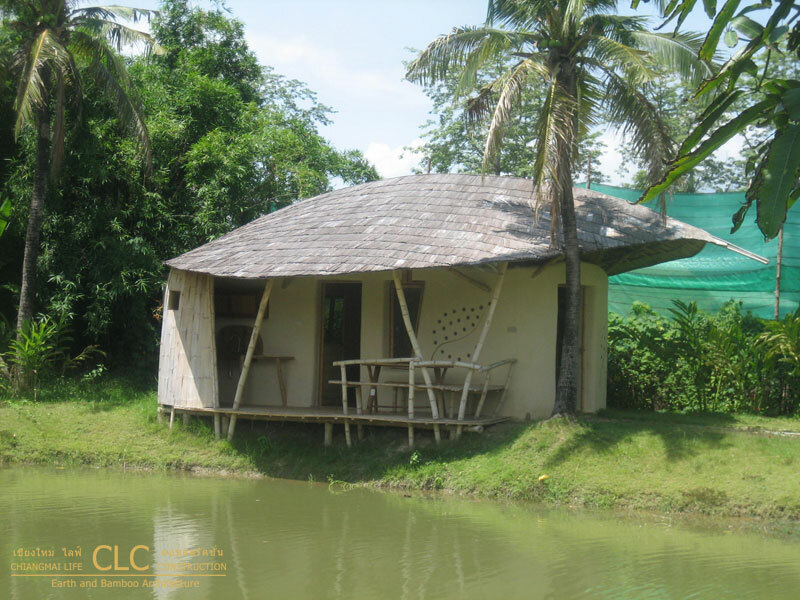 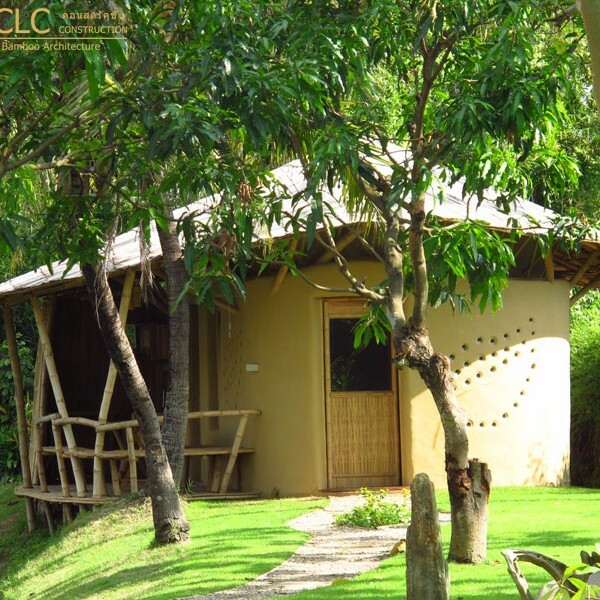 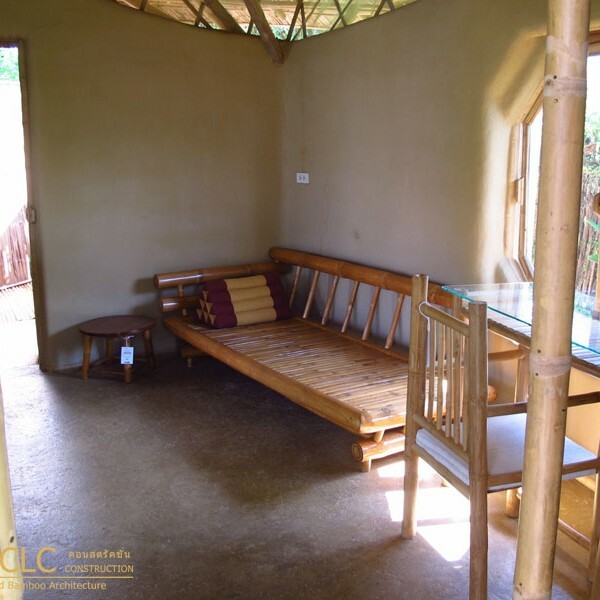 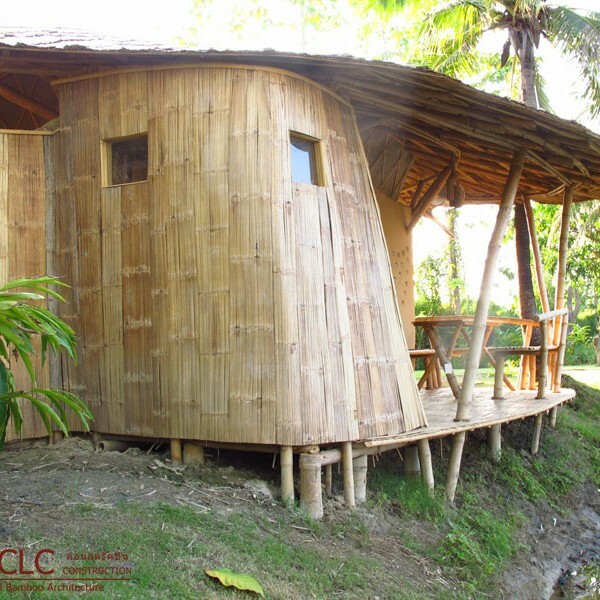 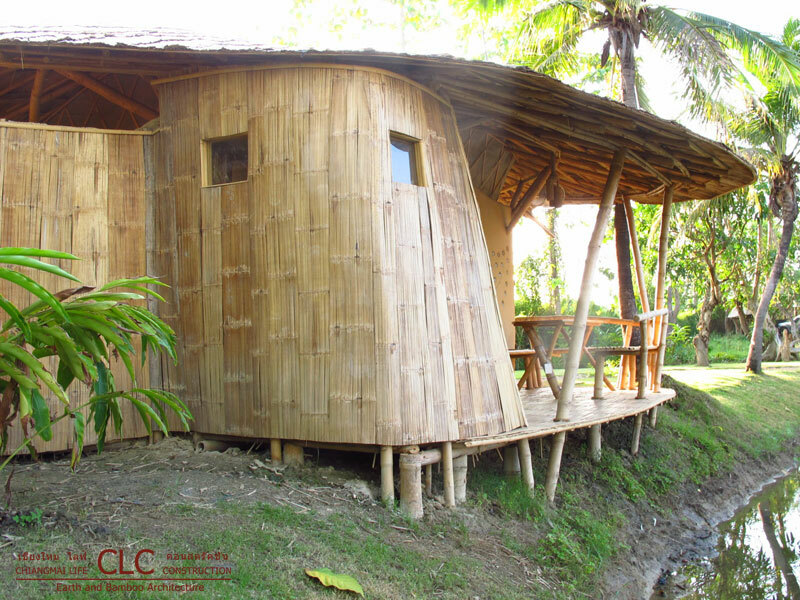 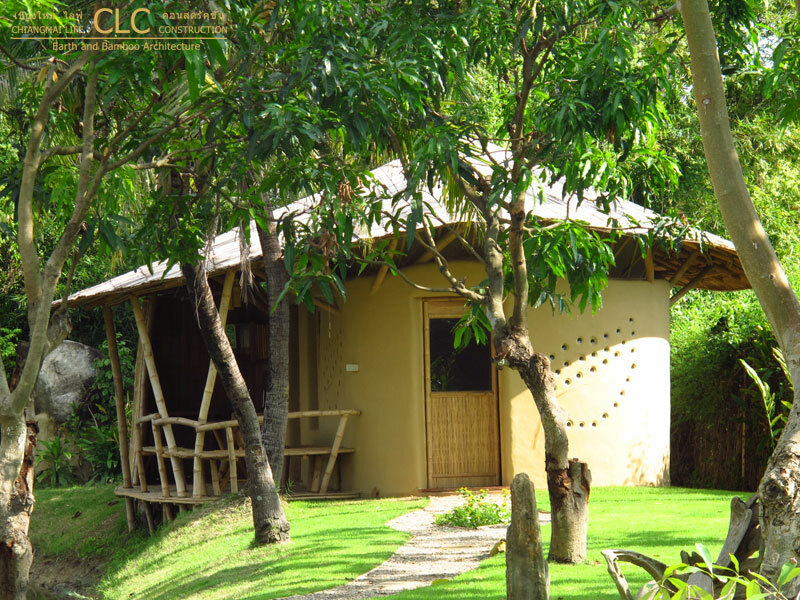 It is our solution for customers who want to be close to nature in their holidays and are looking for a comfortable but affordable compact one-bedroom unit with bathroom and pantry. 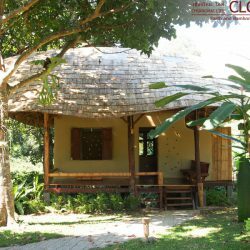 It consists of one room, a half-open bathroom with a shower under the open sky, a big covered veranda and a built-in pantry. 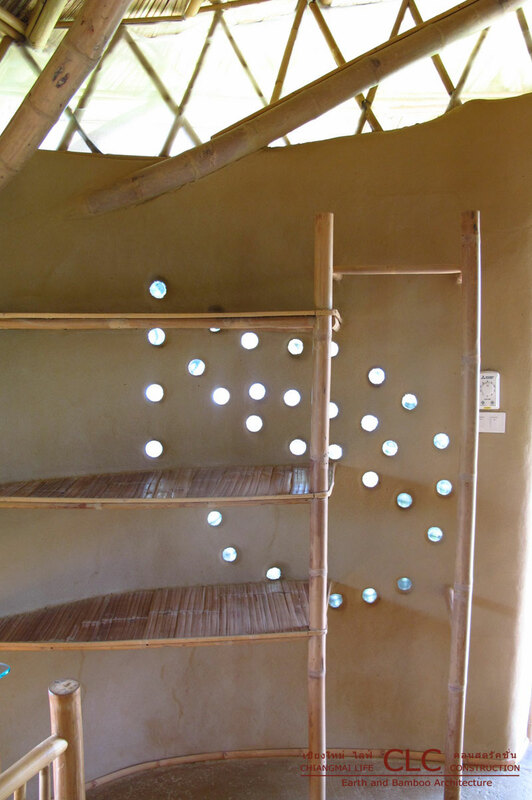 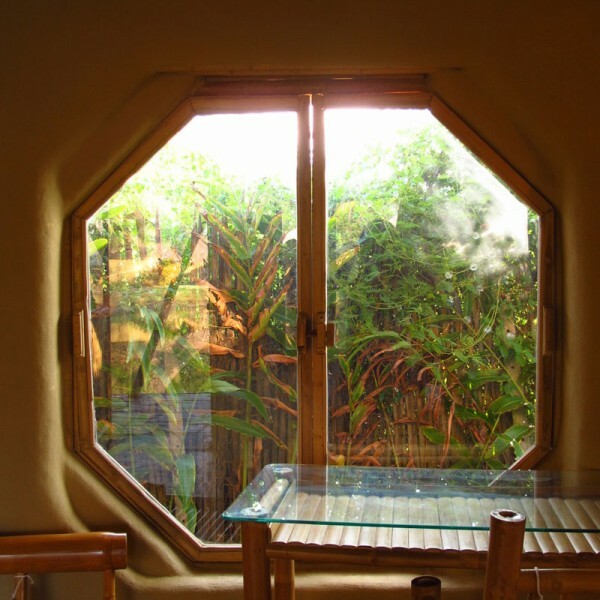 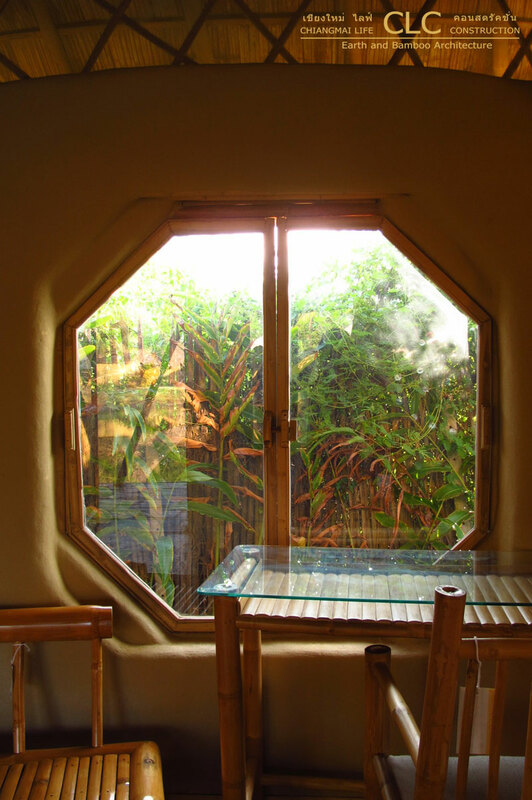 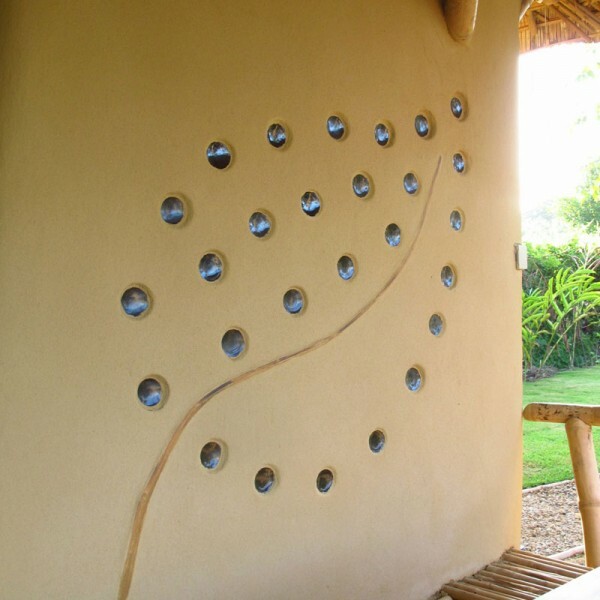 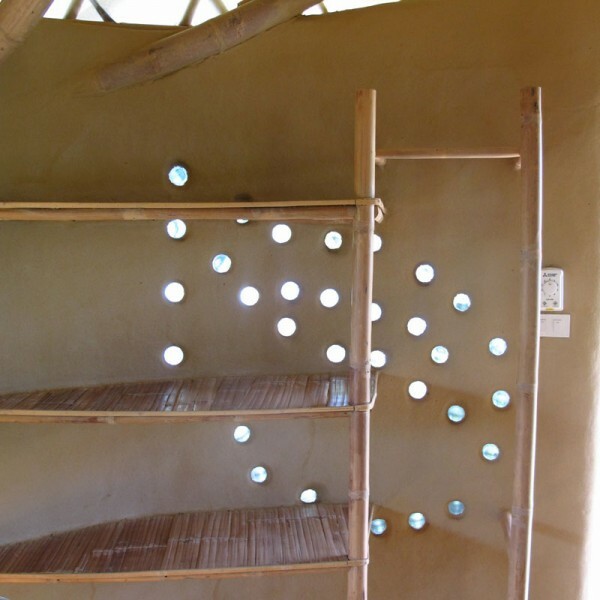 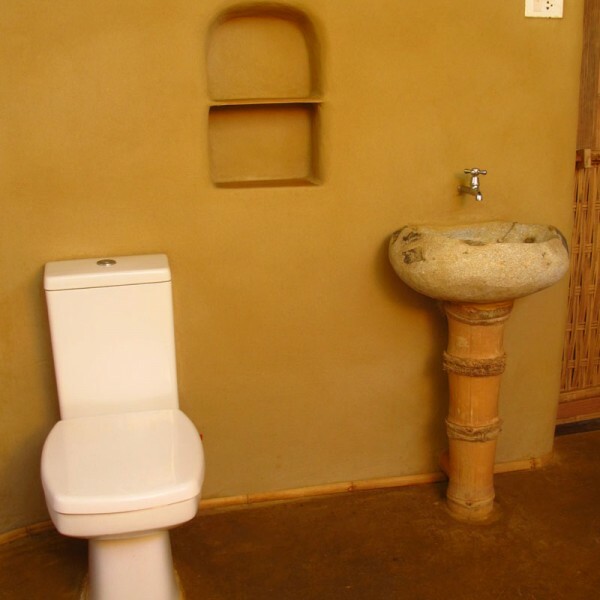 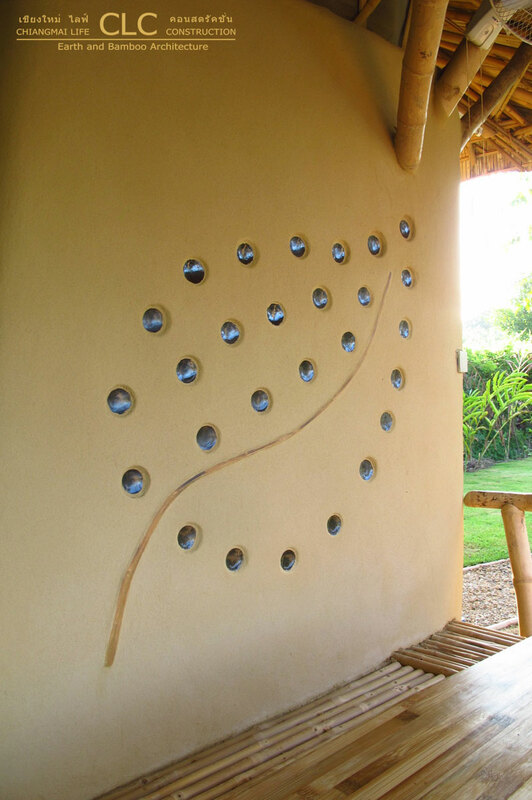 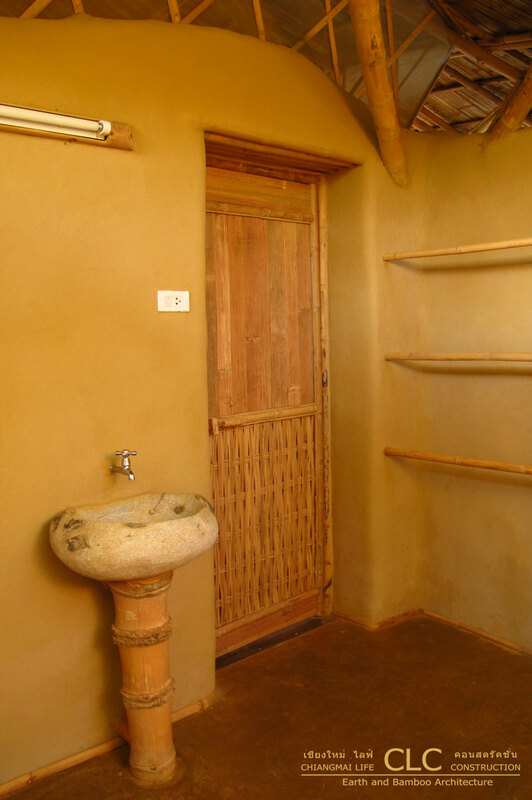 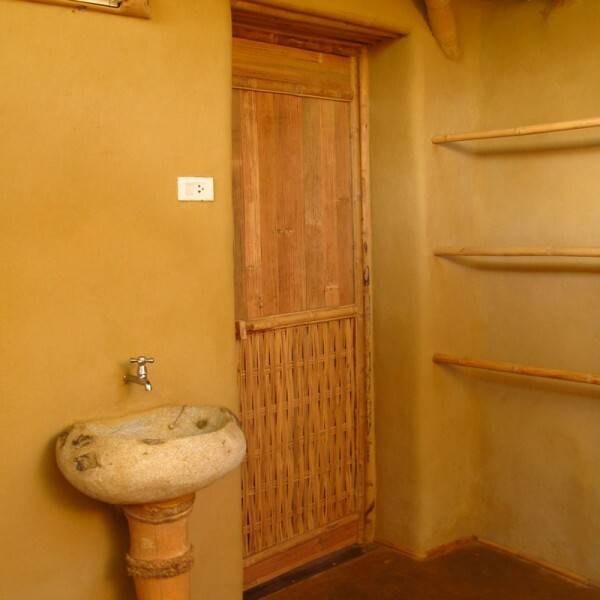 All walls are made of adobe bricks, the floor inside is rammed earth and the floor outside as well as part of the bathroom is made from bamboo. 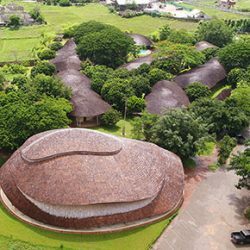 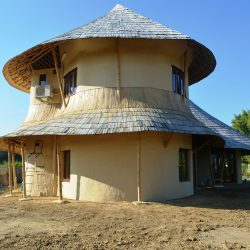 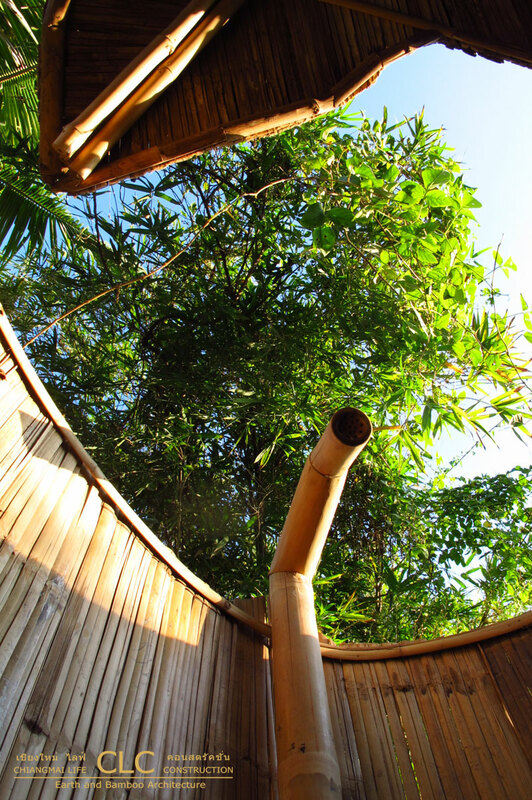 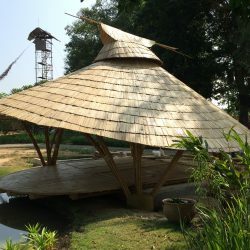 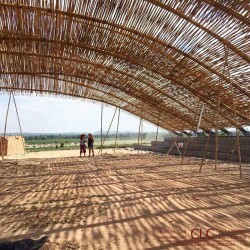 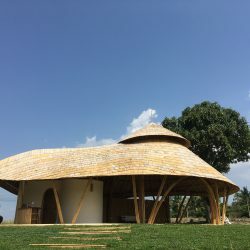 The roof is made of bamboo. 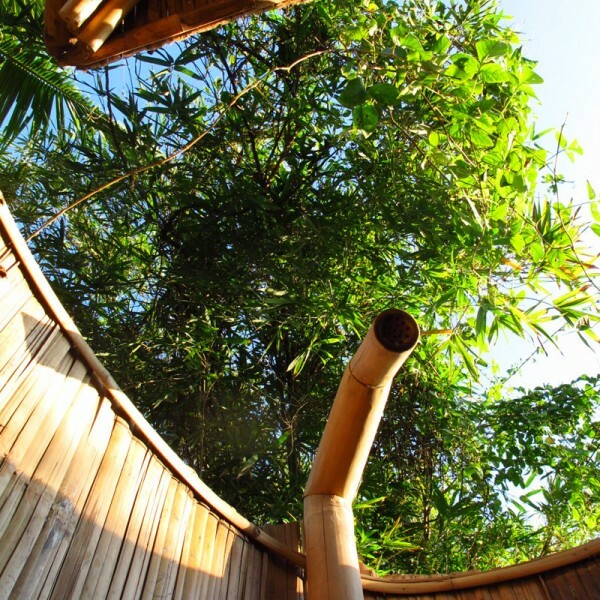 Nature pure. 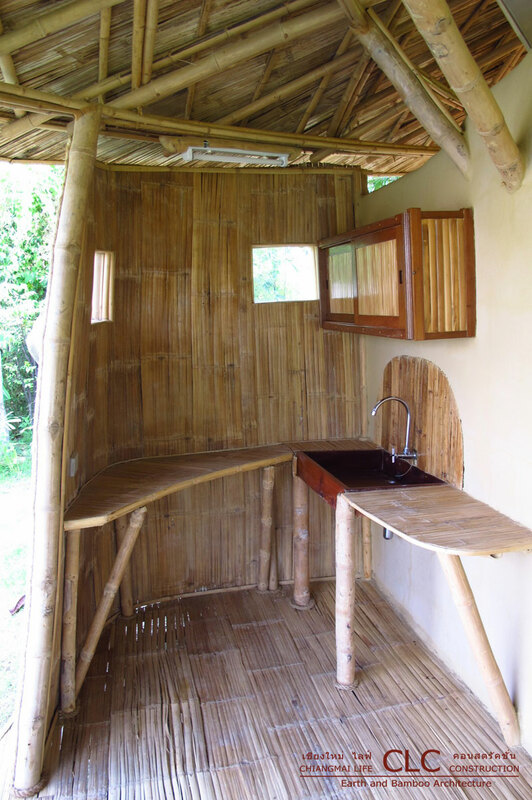 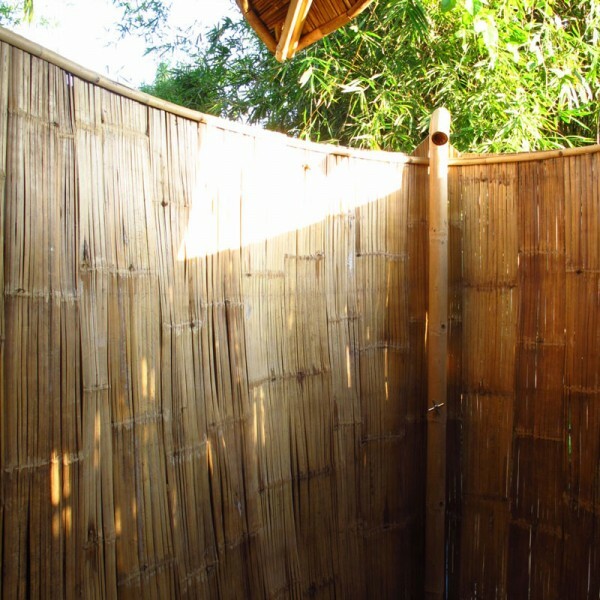 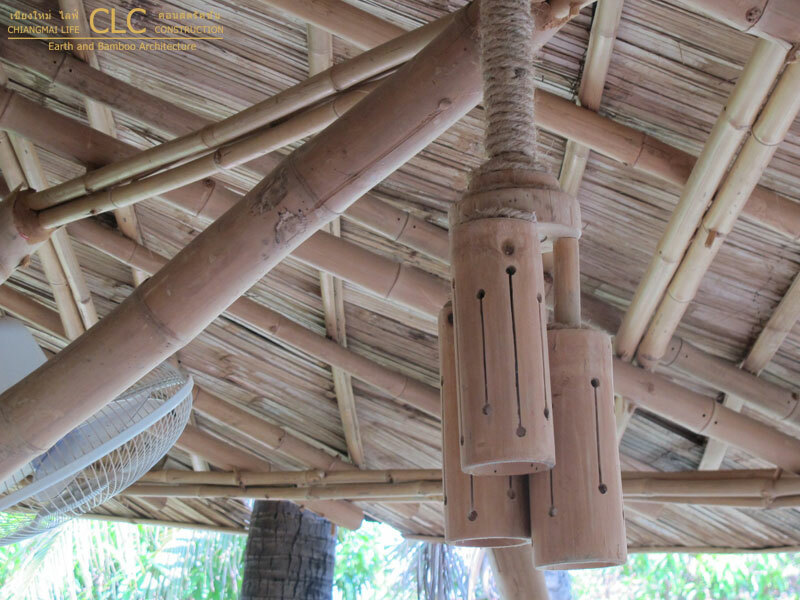 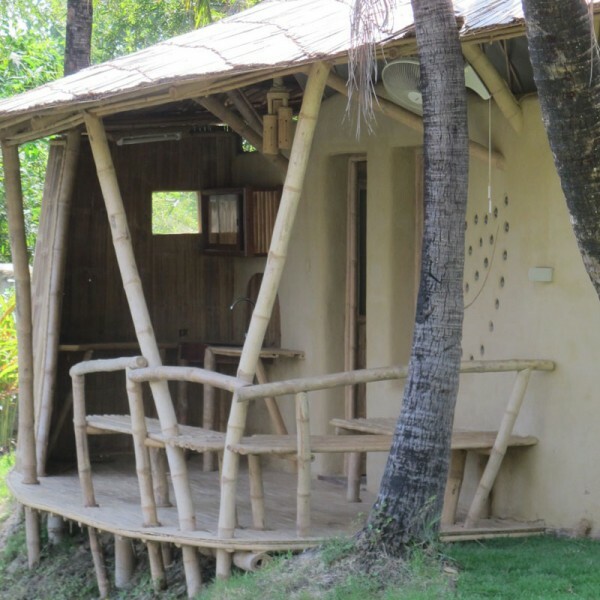 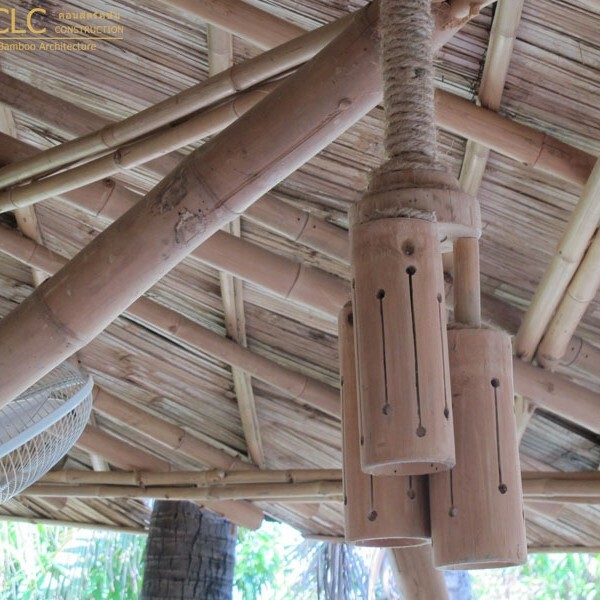 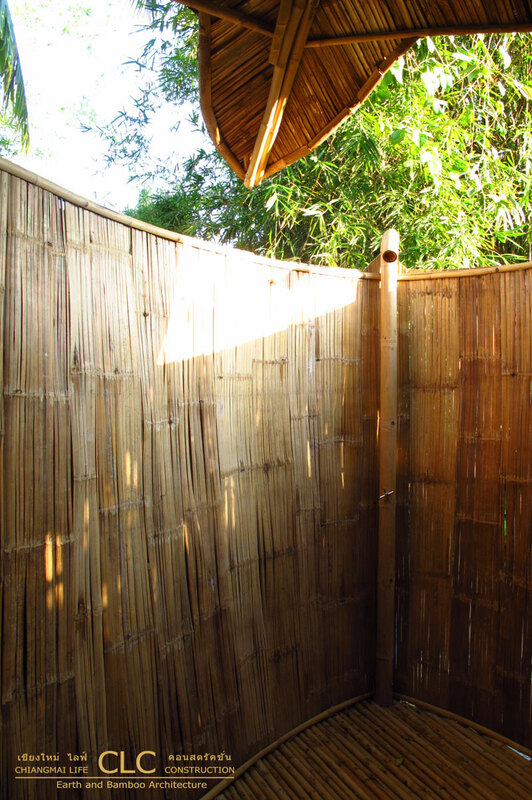 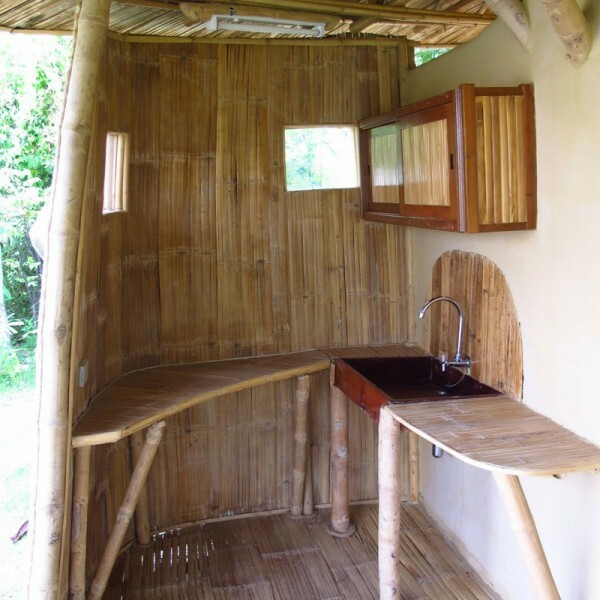 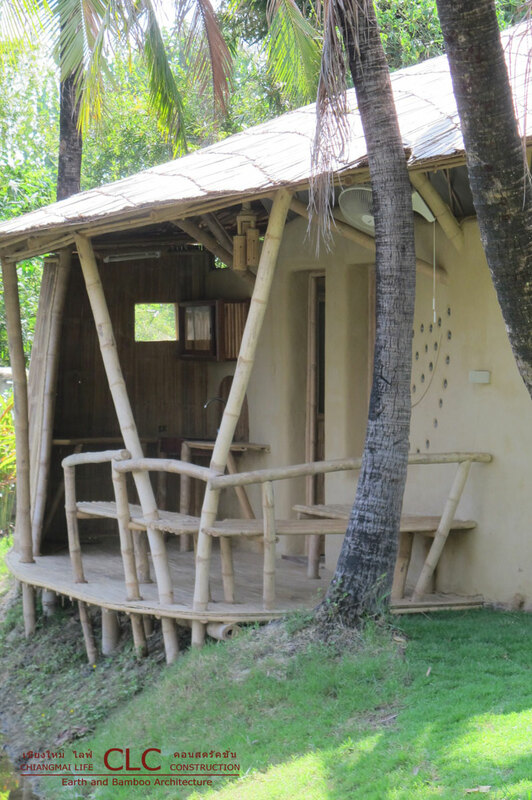 The small cottage was fitted with lots of little features and love to detail: the shower is made from bamboo, the washbasin carved out of a rock and fixed on a bamboo pedestal. 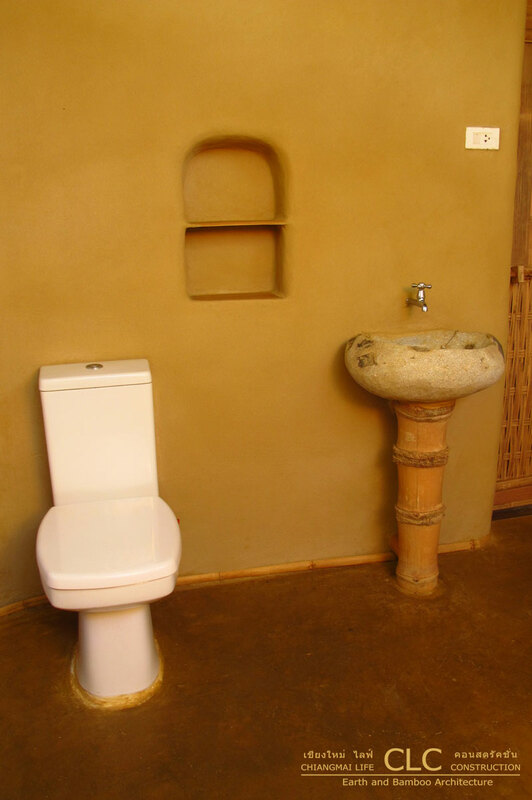 The bathroom is fitted with a built-in towel rack, the main room with a built-in clothes rack and shelves as well as a book shelf. 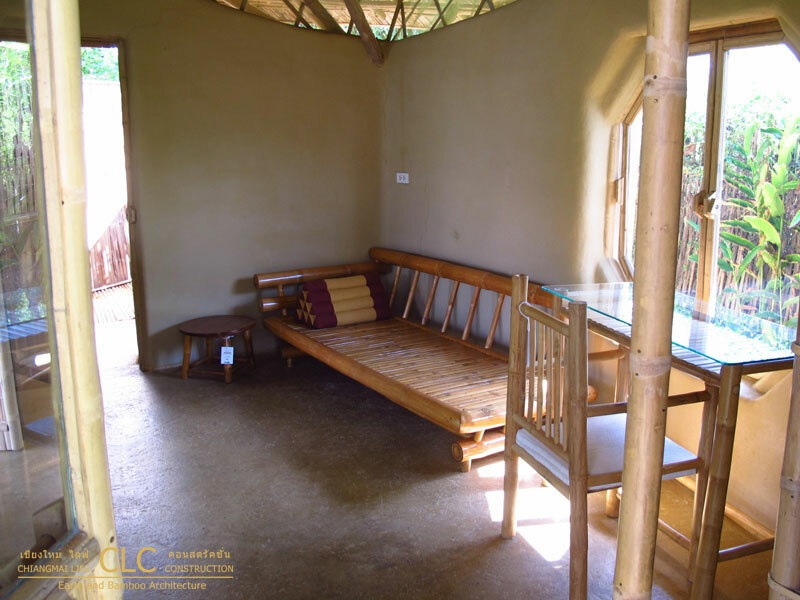 The terrace is the main living area with a day-bed bench and a sitting corner.